Are You Stuck at Home? 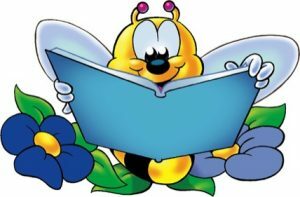 Need Something to Read? One service provided by the Glenboro/South Cypress Library that not many people know about is Home Visits. If you are a person who resides within the town of Glenboro and are unable to venture to the library, I am willing to bring library materials to you. All you need to do is give me a call at the library and answer a few questions pertaining to the types of material that you are looking for. I will pick out a selection based on the information that you provided and bring it to your door free of charge. Some of the materials available at the library include Magazines, Fiction, Nonfiction, Large Print Books, and Audiobooks. With a library membership, you also have access to online material through apps like Hoopla and Libby by Overdrive. If you have a device that you would like to have set up with Hoopla or Overdrive, I am also willing to come to your home, set up the apps on your device, and give you a quick tutorial. If you have any questions or would like to sign up, give the library a call at 204-827-2874.